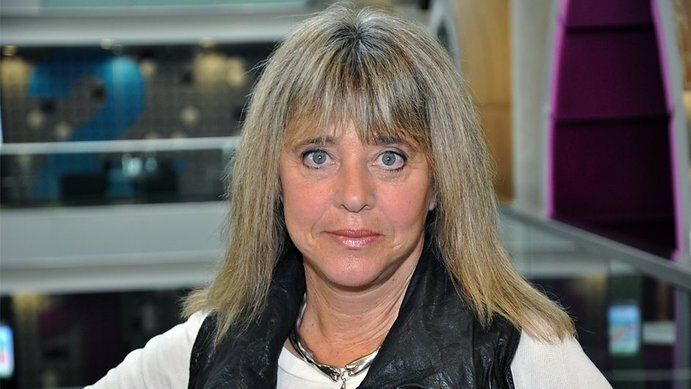 As a rule, you generally don’t expect artists to find more success outside of their own country than they do at home, but that’s certainly proven to be the case for Suzi Quatro: the leather-clad rocker may have come roaring out of Detroit in the late ’60s, but she actually found her first success in Portugal – her single “Rolling Stone” was a #1 hit there – and went on to top the charts in the UK and Australia with “Can the Can” and “Devil’s Gate Drive,” earning an additional #1 in the land down under with “48 Crash.” The best Quatro ever managed in the States, however, was with “Stumblin’ In,” a duet with Chris Norman which finally took her into the top five – #4, to be precise – of the Billboard Hot 100. That’s not to say that Quatro didn’t have her share of success here in America, you understand. It’s just that most of the people who know her are either familiar with a song that sounds like almost nothing else in her back catalog or, more likely, they remember her from when she played Leather Tuscadero on ABC’s Happy Days. But, hey, at least they know her, right? But if that’s the extent of your Suzi Quatro knowledge, then you’d be well served in picking up the new career-spanning box set recently released by Cherry Red: The Girl from Detroit City, a four-disc, five-decade-spanning collection that starts with Quatro’s first recording and carries all the way up to a brand new single that shares its title with the set. Popdose had a chance to chat with Quatro about this new set, her career in music, her theory as to why she had less success on the singles chart in the States, how she came to take the British stage by storm, and her thoughts on the state of the music industry today. Oh, and one more thing: if you should happen to have the ear of anyone who’s in a position to nominate folks for the Rock and Roll Hall of Fame, she’d really love if you could ask them to submit her name, because she totally deserves it, and she’s not afraid to say so. Popdose: So who first pitched the idea of giving your career the box-set treatment? Did Cherry Red approach you, or did you start thinking about it yourself because you were coming up on an important anniversary? As far as the track listing, did they come up with a preliminary one first? No, no, no. I very much worked hand in hand with the record company. They were over here at the house. I found all the tracks I wanted on it, they suggested what they wanted it, and I okayed it or I didn’t. It was very much hand in hand with them. I was like kid gloves with this. I wanted this to be a good representation of my entire career. To start at the very beginning, your musical inspiration – at least from what I’ve read – seems to have been Elvis first, followed in rapid succession by the Beatles. Yes, and then Otis Redding after that. It went kind of A-B-C.
How early did you first start getting into music? Were you still in single digits? Oh, sure. It started by the time I was six, definitely, and then I was into music because my dad was a musician. So I was entertaining from early on, playing classical piano and percussion, and I’m self-taught on bass. But I’ve never actually done any other job than entertain. Well, we started it together. Yeah, she didn’t start it: we all started it. I mean, we saw the Beatles on TV, and then the phone rang, and scream, scream, scream. [Laughs.] And I think Patti said, “Hey, why don’t we form an all-girl band?” And the other two girls we were talking to, they said, “Yeah!” And they were sisters, so the idea just jumped out. But it was all of us together. It wasn’t Patti’s band, it was our band. And I was the lead singer and bass player. All-girl bands were pretty rare back then, no? Oh, yeah. It just wasn’t done. But luckily I grew up in my family, and my dad and my mom applauded it. They encouraged it. I know that Mickie Most was responsible for the big turning point in your career, but what I don’t know is how you crossed paths with him in the first place. Well, The Pleasure Seekers turned into Cradle at some point, and we started to do all original material, we got quite heavy and serious – you know, it was the late ‘60s – and we started jamming and asking, “How long can we do one riff?” [Laughs.] And we brought my little sister (Nancy) into the band, and she became more of the lead singer, and I took a back seat for the first time. Well, not a back seat, but I concentrated more on my musicianship. It was at this point that Elektra Records came to see the band, and the president, Jac Holzman, offered me a solo contract…and the very same week, Mickie Most came to Detroit with Jeff Beck, he came to see the band, and he also offered me a solo contract. 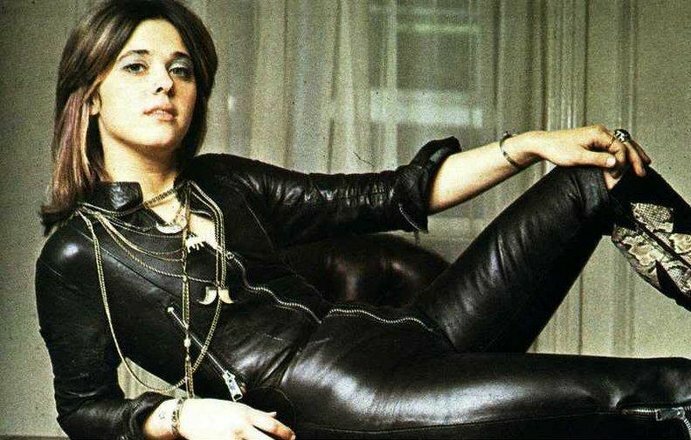 So in one week, I got two different offers to go solo, but I always remember this: the Elektra guy, he wanted to take me to New York and make me the next Janis Joplin, and Mickie Most wanted to take me to England and make me the first Suzi Quatro. So I figured I’d follow my instincts and go with the guy who sees me. I was never gonna be Janis Joplin. That’s not who I am. I understood where he was coming from, y’know, with the ballsiness and everything. But Mickie saw me. He saw me as who I was. And how long did it take you to figure out who Suzi Quatro was? Well, I knew who she was from a long time ago. I mean, I was a frontperson, I was a bass player, I was a tomboy… From the very first recordings, even going back to the very first band, when I was 14, whatever songs we were going to do, if it was a guy’s song, it was given to me with no question. Something girly? The girls had it. Something by a guy? “Oh, that’s Suzi’s song.” Why? Who knows why? [Laughs.] But I think the die was cast a long time ago, and as soon as I could get out of the miniskirts, I was in my jeans and tie-dyed t-shirts. And I was always ballsy, I was always tomboyish, I was always a real rocker…and from day one, I have to say. It’s funny to look back at the chart success of the single for “Rolling Stone.” It didn’t do very much in very many places, and yet in Portugal it proved to be a #1 hit. It’s also interesting that, even though you’re from Detroit, your profile has generally been higher in the UK than in the States. Only single-wise, though, and there’s a reason for that. I’d guess you probably know what it is, too, because you seem to know your stuff. [Laughs.] You know, I’ve had hits in America. “Stumblin’ In” was a million-seller, I’ve sold a lot of albums, and I’ve toured there from ’74 onwards every year successfully. But what happened with the single part of my career is that Mickie Most changed the label with every single, and it basically created no longevity with the record companies, so it didn’t have that “carry on” thing. Over here in the UK, I was always one label. So I think he made a mistake with that, but whatever: he did what he did. And then, of course, Happy Days happened and established me firmly in the consciousness of America forever. Certainly my consciousness, anyway. That’s where I first discovered you. How valuable would you say that Nicky Chinn and Mike Chapman were to your career? As far as putting a commercial on my music, they were the best. They came to see me before I had a hit, when I was opening for Slade on their first-ever big tour. I had finally formed my band, and we were doing – and this is important – all-original material. And Mickie suggested that these guys come along because he said, “They’re real good at writing, at tailor-making singles. So what do you think?” I said I didn’t have a problem with that whatsoever. I was writing all my own stuff anyway. So they came and saw the show, and they went away that very night and wrote “Can the Can.” And if you listen to the first album, which is mostly my songs, it’s all boogie. So what they did was, they wrote a commercial, which was fine with me. From there on, we established a relationship that I wrote most of the albums, because I’m a prolific songwriter myself, and they wrote the commercial three-minute single. And that was fine with me. Not that I haven’t had singles on my own – I’ve had a few of my own – but this is what they were particularly good at. They tailor-wrote for me. They didn’t give me a song they’d written for anybody else, they said, “Here is your new single.” It was a good relationship, and it’s one that’s stood the test of time: I still work with Mike today. “Can the Can” was big during the glam rock era, but did you ever see yourself as a glam rock artist? I’ve never seen myself in anywhere near the same ballpark. [Laughs.] And I think most people that have followed me through the years would say the same. I am a rock ‘n’ roller. That’s what I am. But I think I began my hits in that era, and that era had a name, so that’s what they stuck me with. But I’ve never been glam in my life. Never! But whatever. You get painted with that because that’s when you began to have the success. How was the experience of touring with Alice Cooper? I’m sure you’ve had plenty of people who’ve been influenced by you come up and tell you as much. Everybody. And I take great pride in it. I like to think that I opened the doors, and I like to think that I made it a little bit easier for girls after that. And I think I did. The early albums are the ones that are generally considered to be your signature albums by the more casual fans, but are there albums that you consider to be underrated, that you wish people would go back and revisit? I don’t know, they’ve all gotten pretty good critical acclaim, and they’ve all sold well. But if you’re talking about favorites, my Back to the Drive album was really a good one. It got great critical acclaim, and the fans loved it. Plus, it was autobiographical, and it had 15 years worth of my life in all the songs I wrote for it, and it led me to write my autobiography. It was just a really important album, and it led me to doing a full-blown album with Mike again: In the Spotlight. So that was a real pivotal album for me, that one. Is there any particular single that didn’t take off like you’d expected or that you’d hoped would be more successful? Gosh, you know, the first one that came to mind was “Singing with Angels,” my tribute to Elvis, but it was never actually released properly. The amount of legs that song has, though… I mean, people buy it, use it for funerals, Elvis impersonators are singing it now, and it’s got this whole life of its own now that it deserved to have been a hit on its own. And “Devil’s Gate Drive” should’ve been a hit in America, too. That one was pretty special. Looking back, is it weird for you that “Stumblin’ In” is what most people in the States know you for, given that it’s not particularly representative of your sound? It is! It is, because it’s not who I am. But having said that, you don’t thumb your nose at a hit. It’s evergreen, and wherever I go in the world, it goes down a storm. And I do have that country-rock flavor to my voice if I choose to use it, you know? And that’s okay. It’s one of Chapman and Chinn’s best songs, so…what I’m saying is that I don’t mind that they gave it to me. [Laughs.] It’s quite nice. Was it frustrating for you that Americans weren’t getting the whole picture? It was in a way, but to be honest… I was still selling a lot of records. I mean, I’ve sold 55 million. So I guess I’d get a little bit pissed off, but then at the end of the day, I was still there touring, and I still had my following, so I kind of went, “Oh, well, it’s more like a cult thing over here.” Whatever. It is what it is. You can’t allow yourself to mind one thing when you’re having so much success on another thing. Like I said, it’s a shame Mickie did what he did with the labels. I think he missed out on a lot of hit singles there. But people still know who I am. How did your one-woman show come about? So I took the job, not having any script, nothing, and not knowing what I was going to do. [Laughs.] And then about three months later, I broke my right knee and my left wrist in a bad accident, and I was housebound for about five months. And during that five months, I wrote the script. Isn’t that crazy? And then in October, I went onstage and did it for six nights, it was a huge success, and just this September I did for the BBC Radio 2, at the BBC Radio Theater. It was fantastic. It was a two-hour show – I did the one-woman portion, and then I turned it into a mini-concert – and…I just can’t tell you how great it was. So now I just want to take that show everywhere! How did it come to pass that you starred in Annie Get Your Gun? I had always wanted to do something like that. I’m one of these all-around type entertainers. Although rock ‘n’ roll is my main thing, I kind of go all over the place. I love musicals, and I’d always wanted to do one. But it was Andrew Lloyd Webber, who’s a good friend of mine, that actually suggested that I do Annie Get Your Gun. And it was a perfect show for me. I mean, can you think of a better one? Not really. You don’t get many Broadway characters more ballsy than Annie. Honest to God! [Laughs.] So I did it, and I absolutely loved it. I suspect I know the answer to this question, but…how did you find your way into singing on Donovan’s Cosmic Wheels album? Well, one of the other reasons I went with Mickie was that I was a huge Donovan fan, to tell you the truth. I always loved the production on those albums, and when Mickie was still alive, I always told him that that was his best production. I think he did his finest work with Donovan, his most creative work. And he just said to me, “Do you want to sing on here?” I said, “Sure!” And off I go. Nice. Yeah, I figured Mickie was probably the connection there, but I just wanted to be sure. Okay, so let’s talk about “The Girl from Detroit City,” the title track for the box set. Was that a case where you wanted to make sure that new material was contained therein? Well, it is 50 years of my life, starting with my very first recording…and if you listen to “What a Way to Die,” you can hear Suzi right from the start. [Laughs.] A song about drinking beer, with the screams? It’s like I said: the die was cast a long time ago! But as we were preparing it all, I said to Mike, “Look, I want to do a track with you and bring it current as well,” so he then went away and wrote “The Girl from Detroit City,” which I just adore. I love it! He wrote my life in a song. To start wrapping up, I can’t resist asking you a bit about your work as an actress, starting with Happy Days. How did you end up playing Pinky Tuscadero’s sister? Well, I was in Japan on tour, and I got a call from my American press agent, Toby Mamis, and he said that Paramount Pictures was interested in me to play a part in a two-part episode of Happy Days. So I flew over and I got the part, and it turned into 15 shows over three years. But apparently they’d had the script for a long time – I heard this from the casting lady – and they couldn’t find what they needed. They needed somebody who was soft and tough, could act and could sing. Hello? Here I am! [Laughs.] And apparently the casting director’s daughter had my picture on the cover of Rolling Stone on her wall, and she went in and saw it and said, “Who is that? That’s who we’re looking for!” So they got in touch. It’s funny how things work out, y’know? You’ve popped up in a few other places over the years, but probably the most memorable was Absolutely Fabulous. Yeah, that was good. And it was fun, because the script was very…slim. And I said to Jennifer (Saunders), who really begged me to do it. She actually called me and said, “Please do this show!” And I said, “Listen, Jennifer, can I have fun with this?” She said, “You do whatever you want!” So I created the script. And I didn’t tell her what I was going to do, but she ran with it. So it was very funny. I also did Midsomer Murders, where I got electrocuted. [Laughs.] I also did Dempsey and Makepeace. So, yeah, I’ve done my bit. I’ve also written a musical about Tallulah Bankhead which was on the stage for three weeks. So, yeah, I’ve done a lot in my career. Is there a recording of the Tallulah Bankhead musical to be had? Yeah, but not a good one. I am going to put that back on again, but at the moment, it was just one done with one camera. I do want to do it again, though, because the critics who snuck in – they were barred, because it was only a test outing – said it was the most innovative musical they’d ever seen, and my performance was one which had to be seen. Those are big words! [Laughs.] So I’d like to go do that again at some point. And to bring it back to music to close, what are your thoughts on the music industry today, given how much it’s changed since you started? I think it’s changed a lot. I always say that my generation – when I started having hits and all that, the ‘70s and into the ‘80s – I think we are the last generation of real musicians who came up through the ranks, in the trenches, if you know what I mean when I say that. We did the gigs, we were sitting on top of the amps in the back of a van, we had the U-Haul trailers, we had to entertain the drunks at the bar, we had to play in front of strippers… But that doesn’t exist anymore, and I think the industry has suffered because of it. Now people get into it to become stars. In my day, you got into it because you had to. It’s a whole different attitude. I’ve been 50 years in this business, and I still love every second on that stage. How many artists can say that?